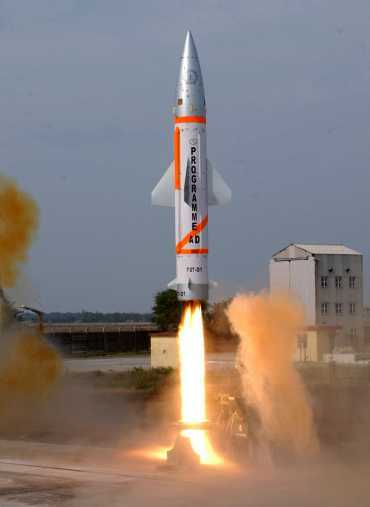 Rediff.com » News » India to resume nuclear tests to counter China? 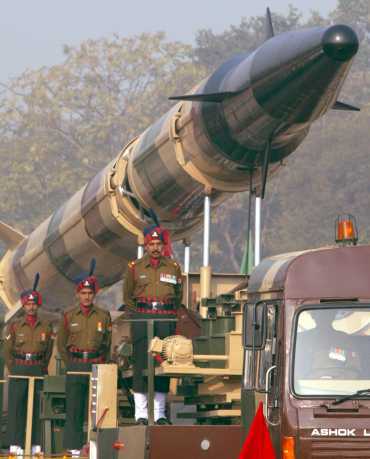 India to resume nuclear tests to counter China? India may resume its nuclear tests taking advantage of the unrest in Middle East to counter China which it considers "a slumbering threat at its bedside," a state-run newspaper in Beijing said, describing New Delhi as a "super antagonist". Launching a bitter diatribe against India, an article in the ruling Communist Party's mouth piece People's Daily said "perhaps, once the Middle East situation further exacerbates, the United States would risk helping India become a nuclear-weapon state". "Considering this, India is likely to resume its nuclear tests. For this, China and all the neighbours should sharpen their vigilance on India's every manoeuvre," it said. Titled as 'Possible, India resumes nuclear test?' the article by one of the columnists of the online edition of the publication said, "Currently, the international situation seems delivering a pleasant message to India." "If the sweeping unrest in the Middle East continues and the unpredictable war is prolonged in Libya, the world's attention and the US top concern will be shifted to the ongoing upheavals, neglecting the sub-continent". Criticising the US for targetting North Korea and Iran, which are "suspected to be violating the Nuclear Non-Proliferation Treaty" it said, "The fact is that behind the scene there exists a super antagonist in the US-produced nuclear soap opera, and it is India." The provocative article pouring venom on India, just weeks after a very successful meeting between Prime Minister Manmohan Singh and Chinese President Hu Jintao on the sidelines recent Brazil, Russia, India, China and South Africa summit, came as a surprise to analysts and diplomats in Beijing. 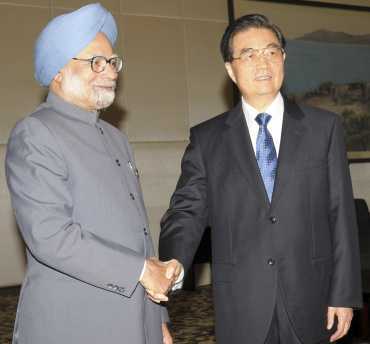 During the Singh-Hu meeting on April 13, the two countries agreed to resume defence exchanges after China apparently rolled back its policy to issue separate visas to residents from Jammu and Kashmir. 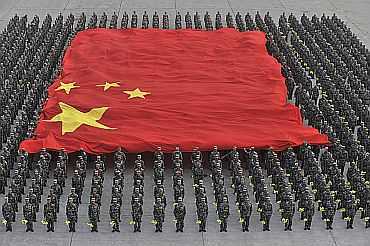 The controversial Chinese move to issue stapled visas had prompted India to put on hold the defence exchanges last year. The article claimed that India has long been "desperately" trying to step over the threshold of nuclear, and gain the international recognition of being an atomic power. "In the conditioning of India, equipped with nuclear weapons, it would boost confidence in dealing with its rivalling neighbour, Pakistan, and pluck up courage to counteract China whom it has long taken as 'a slumbering threat' at its bedside", it said. The article claimed "India has never dropped its dream to overtake China, growing up to be a leading regional, and global power, now that it has self-measured to be the world's No. three military power." On India's 1998 nuclear tests, the article said it was a move that was bitterly criticised internationally as well as within the country. "But years later, it is still a moot point whether India lost more than it gained by going nuclear". "Increasingly, it appears that by self-claiming to have joined the nuclear club, India has forced the world to take it seriously. But, the 1998's (nuclear tests) 'large step forward' to go nuclear has yet to make India feel more secure. "Instead, the desperate move has indeed incurred the higher risk of being attacked upon India, and its national security would accordingly be downgraded," it said.